On Wednesday, August 15, 2018 at 12:31 PM officers with the Weatherford Police department took a theft of property report from Mike’s Westside Rental located at 449 Southwest Ric Williamson Memorial Highway. 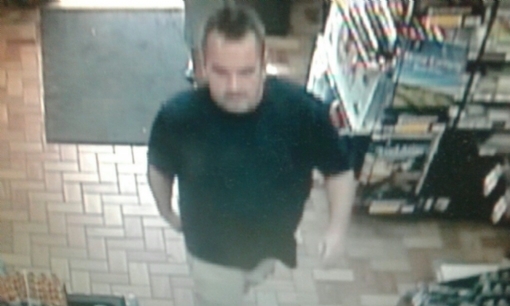 Business representatives advised that on 07-30-2018 a white male suspect (pictured below) entered the store and rented 3 portable generators valued at over $4000.00. The credit card the male subject use to rent the equipment was ultimately declined so no payment was made to the business for the merchandise. 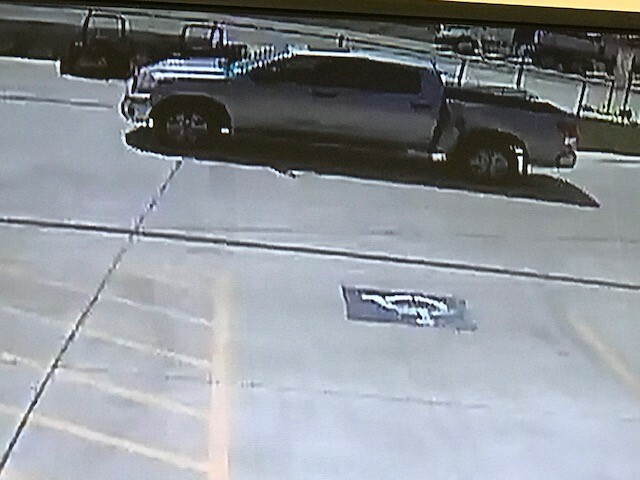 Business representatives advised that the white male used a silver in color Toyota Tundra (pictured below) to haul the generators off the property. The truck is distinctive because has considerable damage along the driver side. Weatherford Detectives have no solid leads at this time and need the public's assistance to help identify the suspect or suspect vehicle in this case. Parker County Crime Stoppers has designated this theft as the Crime of the Week. Crime Stoppers is offering up to a $1,000 reward for any information that leads to the arrest or indictment of the individuals that perpetrated this crime. If you have any information please contact Parker County Crime Stoppers at 817-599-5555 or 1-800-942-STOP, or visit the Parker County Crime Stoppers website at www.pccs.tips to learn more ways to submit a tip. Your information and identity will remain anonymous. Make the call today to help us solve this case so we can help you cash in your reward!!! The offense committed was theft >= $2,500 < $30,000 which is a State Jail Felony and is punishable up to 2 years in State Jail and up to a $10,000 fine. On Monday, 03-12-2018 around 2:15pm an officer with the Weatherford Police Department was dispatched to 1201 Ft Worth Hwy, (Mesquite Pit restaurant) in reference to forged checks. Upon the officer’s arrival he was advised by a representative of the business that sometime around 6:30pm on March the 6th and again around 7:30pm on March the 10th, an unknown white female used a forged check to pay for meal services. The female suspect is described as a white female, heavy set, possibly around 5’00 to 5’03”, video surveillance images of the suspect from March the 6th shows her to be wearing a pink sweat shirt that has on the front of it, “I “image of a heart” PJs”. Video surveillance from March the 10th shows her to be wearing a maroon or dark in color sweater or long sleeve shirt. Weatherford Detectives have no solid leads at this time and need the public's assistance to help identify the suspect in this case. Parker County Crime Stoppers has designated this forgery of checks as the Crime of the Week. Crime Stoppers is offering up to a $1,000 reward for any information that leads to the arrest or indictment of the individuals that perpetrated this crime. The offense committed was Forgery which is a State Jail Felony and is punishable up to 2 years in State Jail and up to a $10,000 fine. On Monday, 08-07-2017 around 9:24 AM officers with the Weatherford Police Department were dispatched to 29 Crown Road (Oeste Ranch Golf Course) in reference to a burglary investigation. Upon the officers arrival they were advised by a representative of the business that sometime between 7:30 PM on Sunday, 08-06-2017 and 6:15 AM on Monday, 08-07-2017 someone broke into a maintenance building owned by the Golf Course and stole several thousands of dollars’ worth of hand tools. The business representative advised officers the roll up door to the maintenance building was found partially open and one of the gate locks had been cut. A set of what appeared to be off-road tire tracks was located near the cut gate lock. Weatherford Detectives have no solid leads at this time and need the public's assistance to help identify the suspect or suspects in this case. Parker County Crime Stoppers has designated this burglary of a building as the Crime of the Week. Crime Stoppers is offering up to a $1,000 reward for any information that leads to the arrest or indictment of the individuals that perpetrated this crime. The offense committed was Burglary of a Building which is a State Jail Felony and is punishable up to 2 years in State Jail and up to a $10,000 fine. On Tuesday, 05-02-2017 around 1:15 PM officers with the Weatherford Police Department were dispatched to the police department lobby in reference to a report of a stolen debit card. Upon their arrival officers met with the victim who advised that her debit card was lost possibly in the area of 1801 South Main Street (Goodwill). The victim advised that the card was lost on 04-27-2017 sometime after making a purchase at the business. The victim reported that she noticed a fraudulent charge on her card the next day on 4-28-2017 made at Wal-Mart. The photographs below are of the possible suspect exiting Wal-Mart after making a purchase with the card. It is believed that the suspect is left handed. Weatherford Detectives have no solid leads at this time and need the public's assistance to help identify the suspect in this case. Parker County Crime Stoppers has designated this credit card abuse as the Crime of the Week. Crime Stoppers is offering up to a $1,000 reward for any information that leads to the arrest or indictment of the individuals that perpetrated this crime. The offense committed was Credit Card Abuse which is a State Jail Felony and is punishable up to 2 years in State Jail and up to a $10,000 fine. On Sunday, March 5, 2017 officers were dispatched to meet with a complainant in the Weatherford Police Department lobby. Upon their arrival the officers were advised that the complainant needed to file a burglary report due to several items being taken from his apartment in the 200 block of College Park Drive (College Park Apartments). The complainant informed officers that sometime between 4:30 PM and 9:30 PM on Friday, March 3, 2017 an unknown person entered his apartment and stole a several thousand dollars’ worth of property. The complainant and his roommate were both at work when the offense occurred. Entry was gained into the apartment due an improperly functioning door lock which has now been repaired. Weatherford Detectives have no solid leads at this time and need the public's assistance to help identify the suspect in this case. Parker County Crime Stoppers has designated this burglary of a habitation as the Crime of the Week. Crime Stoppers is offering up to a $1,000 reward for any information that leads to the arrest or indictment of the individuals that perpetrated this crime. The offense committed was Burglary of a Habitation which is a Second Degree Felony and is punishable up to 2 to 20 years in prison and up to $10,000 fine. On Wednesday February 8, 2017 at 10:00 am officers with the Weatherford Police department were dispatched Heritage Park in reference to a criminal mischief at the Amphitheater. The complainant advised that sometime around 7:30 pm on 2-7-2017 an unknown suspect or suspects set fire to a few of the trash cans around the Amphitheater and caused extensive damage to three of the LED trail lights. Additional damage was also caused to one of the Amphitheater multi-colored LED lights and a few flower pots nearby. In total the damaged was estimated to be around $2500.00. 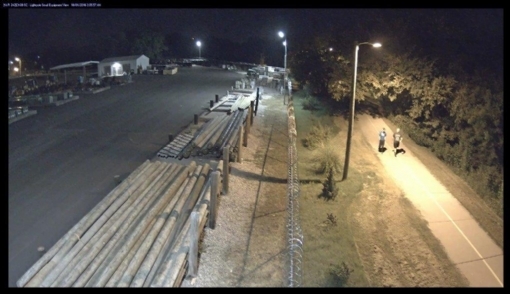 Weatherford Detectives and Fire Marshals have no solid leads at this time and need the public's assistance to help identify the suspect in this case. Parker County Crime Stoppers has designated this criminal mischief as the Crime of the Week. Crime Stoppers is offering up to a $1,000 reward for any information that leads to the arrest or indictment of the individuals that perpetrated this crime. If you have any information please contact Parker County Crime Stoppers at 817-599-5555 or 1-800-942-STOP, or visit the Parker County Crime Stoppers website at www.pccs.tips to learn more ways to submit a tip. Your information and identity will remain anonymous. Make the call today to help us solve this case so we can help you cash in your reward! !The offense committed was Criminal Mischief >= $2500.00<$30,000 which is a State Jail Felony and is punishable up to 2 years in State Jail and up to a $10,000 fine. On Saturday, 01-14-2017 around 3:16 am officers with the Weatherford Police Department were dispatched to 1909 Fort Worth Highway (Dollar General) in reference to an alarm at the location. Upon their arrival officers observed that the front doors of the business had been forced open and there was damage done to the interior of the building. 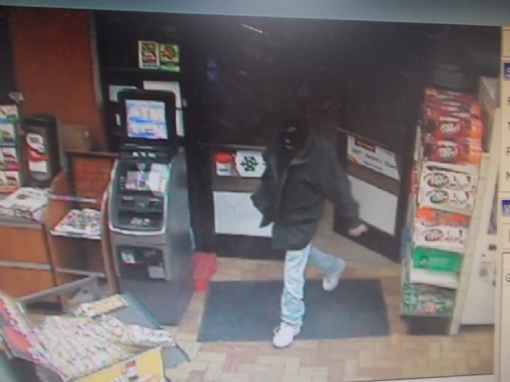 After a review of surveillance video it was determined that a suspect in a hooded sweatshirt and ski mask forced entry to the front door and then proceeded to the tobacco counter. The suspect damaged the tobacco case and then loaded multiple items of tobacco products into a bag. The suspect then fled the store via the front doors with several hundred dollars’ worth of merchandise. Just prior to the suspect entering the building, surveillance video caught two white passenger cars outside of the business. Weatherford Detectives have no solid leads at this time and need the public's assistance to help identify the suspect in this case. Parker County Crime Stoppers has designated this burglary of a building as the Crime of the Week. Crime Stoppers is offering up to a $1,000 reward for any information that leads to the arrest or indictment of the individuals that perpetrated this crime. On the morning of Sunday December 4, 2016 at 8:43 am the Weatherford Police Department began receiving reports of motor vehicle burglaries. A significant amount of the burglaries occurred in the area of the Westwood addition, along with other neighborhoods on the southwest side of the city. In all, a total of 19 reports have been taken, which included 16 vehicle burglaries, one burglary of a habitation, one theft of a firearm, and one stolen vehicle. According to the information provided by the victims, the burglaries occurred sometime between the late hours of Saturday 12-03-16 and the early morning hours of Sunday 12-4-16. Weatherford PD detectives believe that each of these incidents are related due to the time frame and close proximity to one another. According to reports, most if not all of the burglarized vehicles were left unlocked. Among the items stolen from one of the burglaries was a grey in color Kel-Tec .32 caliber semi-automatic handgun. In addition, a silver two-door 2001 Cadillac Eldorado passenger car was stolen from a residence on Westbriar Drive. The Cadillac displayed a temporary license plate of 23C9067 on the rear of the vehicle. Based on surveillance video at least two individuals are believed to be involved in this criminal episode (see photos). Weatherford Detectives have no solid leads as to the identity of the suspects. Weatherford Police are seeking the public's assistance to help us solve this case. Parker County Crime Stoppers has also designated these burglaries, and thefts as the Crime of the Week. Crime Stoppers is offering up to a $1,000 reward for any information that leads to the arrest or indictment of the individuals that perpetrated this crime. If you have any information please contact Parker County Crime Stoppers at 817-599-5555 or 1-800-942-STOP, or visit the Parker County Crime Stoppers website at www.pccs.tips to learn more ways to submit a tip. Your information and identity will remain anonymous. On Wednesday, 11-23-2016 around 3:44 am officers with the Weatherford Police Department were dispatched to 323 West 4th Street (Triple D Liquor) in reference to a burglary of a building. Upon their arrival officers were advised that around 3:15 am an unknown person had forced entry into the business via the front doors. The suspect had damaged a few pieces of equipment inside of the business and rummaged through a few of the cash register drawers before departing. On Monday 11-14-2016 at 6:40 am officers with the Weatherford Police department were dispatched to Hilltop Drive reference to a burglary of a vehicle and theft of a firearm. The complainant advised that sometime overnight an unknown subject broke into his vehicle while it was parked in the driveway of his residence in 700 block of Hilltop Drive. The suspect stole and a Beretta hand gun which had been left inside of the vehicle. Through the course of the day, two additional vehicles located in the 800 block of Hilltop Drive were also reported to have been broken into overnight. The suspect stole various hand tools from one of the vehicles. Detectives with the Weatherford Police Department believe that all three burglaries and the theft of a firearm are related to the same criminal episode. Weatherford Detectives have no solid leads at this time and need the public's assistance to help identify the suspect in this case. Parker County Crime Stoppers has designated this theft of a firearm as the Crime of the Week. Crime Stoppers is offering up to a $1,000 reward for any information that leads to the arrest or indictment of the individuals that perpetrated this crime. The offense committed was Theft of a Firearm which is a State Jail Felony and is punishable up to 2 years in State Jail and up to a $10,000 fine. On Monday, October 24, 2016 around 8:00 am officers with the Weatherford Police department were dispatched to contact a business in reference to a stolen Toyota Highlander. Officers made contact with a business representative from Roger Williams Collision Center located at 202 Industrial Street. The representative advised that recently damage had been done to one of the fences that surrounds the property and the believed that they had determined what had caused it. The representative advised that there was a 2008 white in color Toyota Highlander that had been taken off the lot. It was believed that the suspect stole the vehicle and drove it through the fence in order to get it off the lot. The vehicle had been previously damaged which was why it was in the repair shop and at the time it was taken it had no oil in the engine. 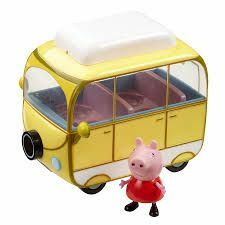 It is possible that the individual that took this vehicle was looking for parts however it is unknown at this time. Weatherford Detectives have no solid leads at this time and need the public's assistance to help identify the suspect in this case. Parker County Crime Stoppers has designated this unauthorized use of a motor vehicle as the Crime of the Week. Crime Stoppers is offering up to a $1,000 reward for any information that leads to the arrest or indictment of the individuals that perpetrated this crime. The offense committed was Unauthorized Use of a Motor Vehicle which is a State Jail Felony and is punishable up to 2 years in State Jail and up to a $10,000 fine. On Wednesday, October 5, 2016 at 1:00 PM officers with the Weatherford Police Department were dispatched to the Weatherford Hike and Bike Trail in reference to a criminal mischief. Upon arrival officers met with Weatherford Parks and Recreation officials who were wanting to report damage done to several lights along the hike and bike trail. Parks officials advised that sometime over the weekend of October 1st and 2nd, several of the lights that illuminate the trail were intentionally broken causing several thousands of dollars in damage. The lights were located between Holland Lake Park and the Patsy Hooks Dog Park. Surveillance cameras took photographs of the two possible suspects and the photographs have been attached to this release. Weatherford Detectives have no solid leads at this time and need the public's assistance to help identify the suspects in this case. Parker County Crime Stoppers has designated this criminal mischief as the Crime of the Week. Crime Stoppers is offering up to a $1,000 reward for any information that leads to the arrest or indictment of the individuals that perpetrated this crime. If you have any information please contact Parker County Crime Stoppers at 817-599-5555 or 1-800-942-STOP, or visit the Parker County Crime Stoppers website at pccs.tips to learn more ways to submit a tip. Your information and identity will remain anonymous. Make the call today to help us solve this case so we can help you cash in your reward!!! The offense committed was Criminal Mischief with a value of equal to or greater than $2500 but less than $30,000 which is a State Jail Felony and is punishable up to 2 years in State Jail and up to a $10,000 fine. On Monday, October 10, 2016 officers with the Weatherford Police Department responded to a theft that had occurred at the Pilot Truck and Travel (2210 Old Dennis Road). Upon arrival the victim advised officers that he had a sum of money stolen from him after making a withdraw from the ATM in the store. The victim advised officers he had completed an ATM transaction in the store and as he exited he was pushed by a white male subject wearing a black shirt and tan shorts. The victim advised that he was not injured from being pushed, but the male suspect grabbed his money and ran from the scene. Weatherford Detectives have no solid leads at this time and need the public's assistance to help identify the suspect in this case. Parker County Crime Stoppers has designated this theft from a person as the Crime of the Week. Crime Stoppers is offering up to a $1,000 reward for any information that leads to the arrest or indictment of the individual that perpetrated this crime (see photo). The offense committed was Theft from a Person which is a State Jail Felony and is punishable up to 2 years in State Jail and up to a $10,000 fine. On September13, 2016 around 2:20 am officers with the Weatherford Police department were dispatched to a commercial business alarm at 2124 Tin Top Road (Liquor Galore). Upon their arrival officers found the business had been broken into. After the initial investigation it was determined that two black male suspects had forced entry into the business and caused several thousands of dollars’ worth of damage. Surveillance video shows the two male suspects to be wearing hooded sweatshirts and some type of cloth covering over a portion of their faces. The suspect vehicle is believed to be a Ford Edge or similar type SUV. Weatherford Detectives have no solid leads at this time and need the public's assistance to help identify the suspects in this case. 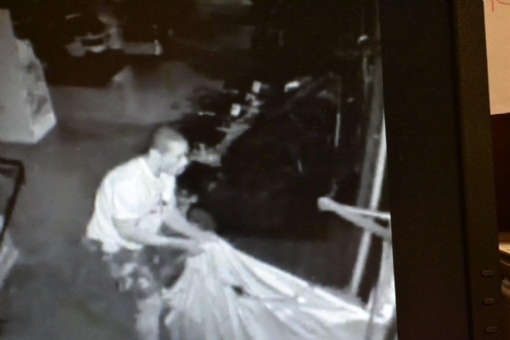 Parker County Crime Stoppers has designated this burglary as the Crime of the Week. Crime Stoppers is offering up to a $1,000 reward for any information that leads to the arrest or indictment of the individuals that perpetrated this crime. The offense committed was Burglary of a Building which is a State Jail Felony and is punishable by confinement in State Jail for up to 2 years and a fine up to $10,000.00. On Monday August 29, 2016 officers with the Weatherford PD responded to a burglary of a residence in the 1100 block of West Water St. The complainant advised officers that between 12pm on Sunday 08-28-2016 and 2pm on Monday 08-29-2016 an unknown person unlawfully entered the residence and stole several hundred dollars’ worth of lawn equipment and other miscellaneous personal items. Weatherford Detectives have no solid leads at this time and needs the public's assistance to help identify the suspect in this case. 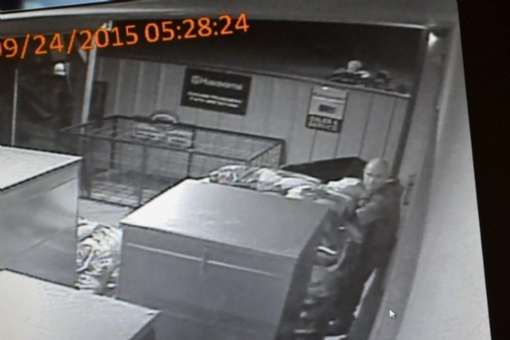 Parker County Crime Stoppers has designated this burglary as the Crime of the Week. Crime Stoppers is offering up to a $1,000 reward for any information that leads to the arrest or indictment of the individuals that perpetrated this crime. The offense in this case is Burglary of a Habitation which is a second degree felony and is punishable by up to 20 years in prison and up to a $10,000 fine. 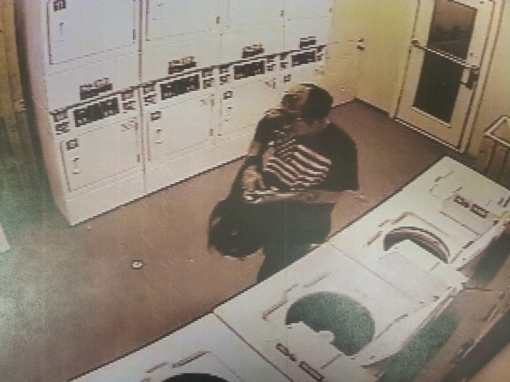 On August 12, 2016 around 9:47 pm a white male suspect broke into a secured laundry room located at an apartment complex in the 700 block of Santa Fe Drive. Once inside of the building the white male suspect forced entry into a coin operated machine which was located inside of the laundry room. The white male suspect stole an undisclosed amount of US currency from the machine and exited the building. Weatherford Detectives have no solid leads at this time and need the public's assistance to help identify the suspect in this case. 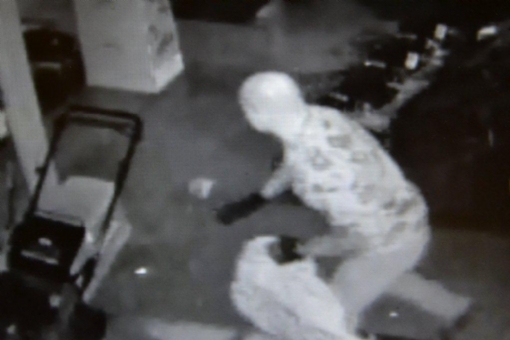 Parker County Crime Stoppers has designated this burglary as the Crime of the Week. Crime Stoppers is offering up to a $1,000 reward for any information that leads to the arrest or indictment of the individuals that perpetrated this crime. The offense committed was Burglary of a Building which is a State Jail Felony and is punishable up to a 2 years in state jail and up to a $10,000 fine. We have attached a photo of the burglary suspect to this press release and email. On July 29, 2016 between the hours of 10:30 am and 11:30 am three separate Ford F-250 trucks were broken into while in a parking lot in the 200 block of Adams Drive. The parking lot rests on the north side of Adams Drive and is part of a major retail business shopping center. The method of forced entry was the exact same for all three F-250s and it was apparent that the suspect(s) specifically targeted these types of vehicles. The three burglaries totaled over $900.00 in stolen or damaged property. Weatherford Detectives have no solid leads at this time and need the public's assistance to help identify the suspect(s) in these cases. Parker County Crime Stoppers has designated these burglaries as the Crime of the Week. Crime Stoppers is offering up to a $1,000 reward for any information that leads to the arrest or indictment of the individuals that perpetrated these crimes. If you have any information please contact Parker County Crime Stoppers at 817-599-5555 or 1-800-942-STOP, or visit the Parker County Crime Stoppers website at www.parkercountycrimestoppers.com to learn more ways to submit a tip. Your information and identity will remain anonymous. Make the call today to help us solve this case so we can help you cash in your reward!!! The offenses committed were burglary of a vehicle which are class A misdemeanors, punishable by up to 1 year in county jail and a fine of up to $4000.00 for each occurrence. Over the past month the Cherry Park Pool has been vandalized on two separate occasions. On 06-12-2016 two residential type windows inside of the gated area were broken out causing around $400.00 worth of damage. In addition to the broken windows, several pool chairs and kick boards were also thrown into the pool by the unknown suspect(s). On 06-14-2016 around 5:30 am the pool was vandalized once again. During this incident the suspect(s) entered the pool area and threw a piece of cleaning equipment into the pool along with several chairs. The piece of equipment thrown in the pool was damaged and no longer functioned as a result of the water damage. This criminal mischief resulted in damages around $6500.00. Weatherford Detectives have no solid leads at this time and need the public's assistance to help identify the suspect(s) in these cases. Parker County Crime Stoppers has designated these criminal mischiefs as the Crime of the Week. Crime Stoppers is offering up to a $1,000 reward for any information that leads to the arrest or indictment of the individuals that perpetrated these crimes. The first offense committed was Criminal Mischief greater than or equal $100.00 or more but less than $700.00 which is a class B Misdemeanor, punishable up to 180 days in jail and up to a $2000.00 fine. The second offense committed was Criminal Mischief greater than or equal $2500.00 or more but less than $30,000.00 which is a State Jail Felony, punishable confinement in State Jail for up to 2 years and up to a $10,000.00 fine. On Thursday, June 16th, 2016 at approximately 9:27A.M., Weatherford Police were dispatched to the 1100 block of Keechi St. in Weatherford in reference to a stolen vehicle. The victim reported that sometime early that morning, between 6A.M. and 9A.M, unknown suspect(s) stole her silver 2006 Toyota Tundra extended cab pickup from her driveway. Four days later on June 20th, the vehicle was located and recovered in North Richland Hills. The vehicle has since been returned to the owner, however the identity of the theft suspect or suspects is still unknown. Weatherford Police have few leads in this case and needs the public's assistance to help identify the suspect(s) in this case. Parker County Crime Stoppers has designated this offense as the CRIME OF THE WEEK. Crime Stoppers is offering up to a $1,000 reward for any information that leads to the arrest or indictment of the individual(s) that perpetrated this crime. 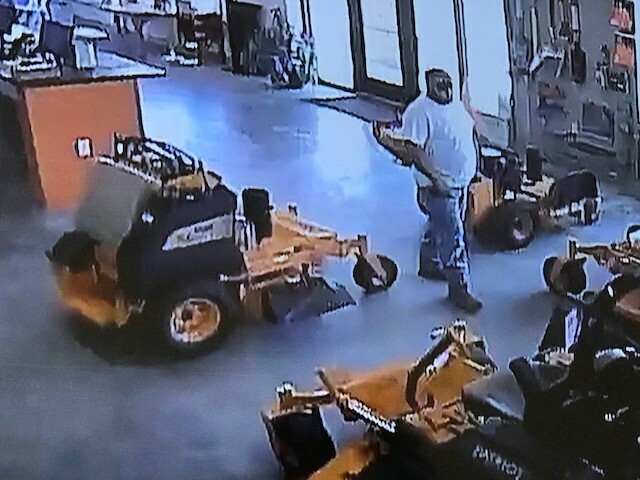 If you have any information regarding this theft, please contact Parker County Crime Stoppers at 817-599-5555 or 1-800-942-STOP, or visit the Parker County Crime Stoppers website at www.parkercountycrimestoppers.com to learn more ways to submit a tip. Your information and identity will remain anonymous. Make the call today to help us solve this case so we can help you cash in your reward!!! 1. 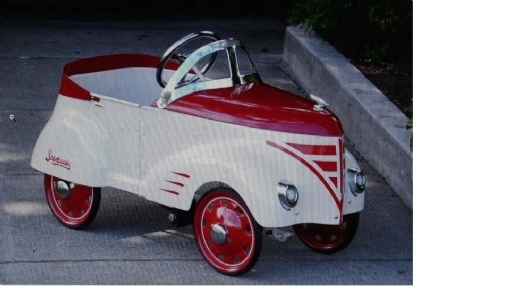 A red and white Starbucks Pedal Car – valued at $400. 3. An undetermined list of other antiques (unknown total value at this time). The victim noted that the missing rocking chair was originally made in the 1800's. The victim also advised that the Starbucks Pedal car was still in a box and had a board underneath it for display. Weatherford Police have no leads in this case and needs the public's assistance to help identify the suspect(s) in this case. 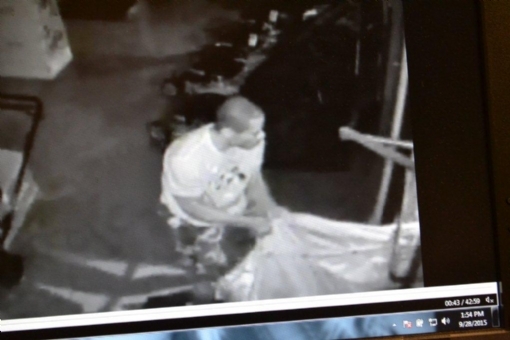 Parker County Crime Stoppers has designated this burglary as CRIME OF THE WEEK. Crime Stoppers is offering up to a $1,000 reward for any information that leads to the arrest or indictment of the individual(s) that perpetrated this crime. On Tuesday, April 26th, 2016, Weatherford Police took a report of a trailer theft from a business located in the 1900 Block of N. Main St. The complainant reported that sometime between the hours of 6am and 11pm on Sunday, April 24th, 2016, unknown person(s) took the below listed trailers from the victims property without permission. (3) One of the trailers had lumber stacked on it, with an estimated value of $400. Weatherford Police Detectives are still working a few leads, however we need the public's assistance to help identify the suspect(s) in this case. This offense is a State Jail Felony. Parker County Crime Stoppers has designated these stolen trailers as CRIME OF THE WEEK. Crime Stoppers is offering up to a $1,000 reward for any information that leads to the arrest or indictment of the individual(s) that perpetrated this crime. 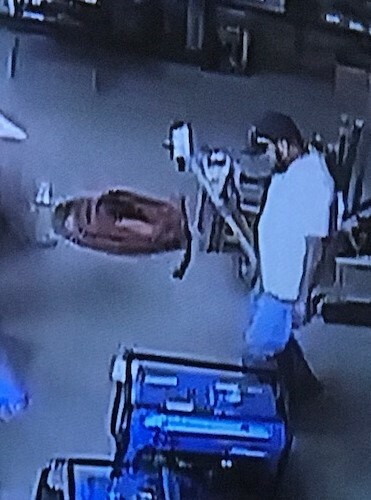 If you have any information regarding this theft, please contact Parker County Crime Stoppers at 817-599-5555 or 1-800-942-STOP, or visit the Parker County Crime Stoppers website at www.parkercountycrimestoppers.com to learn more ways to submit a tip. Your information and identity will remain anonymous. Make the call today to help us solve this case so we can help you cash in your reward!!! On April 22, 2016, shortly after 6A.M., a victim reported her maroon 2014 Lexus ES350 stolen. The victim stopped at a commercial business in the 900 block of Azle Hwy and someone stole her vehicle while she was inside. Around 1:30PM the same afternoon, Weatherford Detectives were contacted by the Hood County Sheriff’s Office and notified that the vehicle had been recovered at vacant trailer house in Oak Trail Shores in Hood County. Detectives traveled to the scene and processed the vehicle for evidence. Weatherford Detectives are still working several leads, however we need the public's assistance to help identify the suspect(s) in this case. If you or someone you know has seen a person driving the mentioned stolen vehicle, using the victim’s phone or disposing of the property, please contact Weatherford Police or Crime Stoppers. Parker County Crime Stoppers has designated this stolen vehicle and subsequent theft as Crime of the Week. Crime Stoppers is offering up to a $1,000 reward for any information that leads to the arrest or indictment of the individual(s) that perpetrated this crime. 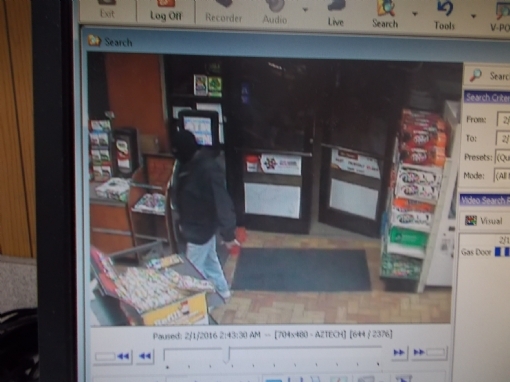 On Monday, 02/01/2016 at approximately 2:46A.M., Officers from the Weatherford Police Department were dispatched to 2210 Old Dennis Rd (Pilot Truck Stop), in reference to an Armed Robbery that had just occurred. Officers arrived on scene within 3 minutes of receiving the call and immediately began searching the area. The clerk told officers on the scene that the suspect met him at the checkout register near the main front door entrance, pointed a handgun at him and demanded money out of the cash register. 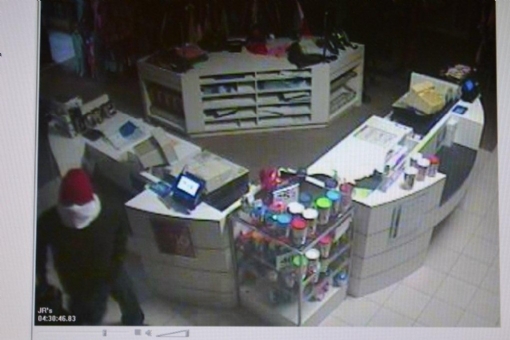 The clerk opened the register drawer and gave the suspect an undetermined amount of cash. The suspect then walked out of the store through the south diesel side pump doors. Based on information from witnesses at the scene, it is uncertain whether the suspect fled on foot or in a vehicle. One witness at the scene stated he saw a black Chevrolet Impala parked on the south side of the business around the time of the robbery. Another witness the officers spoke to saw a black car leaving the area of the business around the same time as well. Detectives are uncertain whether the suspect was in the black car or not, but will follow-up that potential lead. Officers thoroughly searched the area but were unable to locate the suspect. The clerk described the suspect as a white male wearing a black ski mask, dark colored jacket, blue jeans and white tennis shoes. He also noted that the suspect was wearing clear plastic (food handling) gloves. It is possible that the suspect may also have a short beard. Weatherford Detectives have no solid leads at this time and needs the public's assistance to help us identify the suspect in this case. Parker County Crime Stoppers has designated this robbery as the Crime of the Week. Crime Stoppers is offering up to a $1,000 reward for any information that leads to the arrest or indictment of the individual that perpetrated this crime. The offense committed was Aggravated Robbery, a first degree felony, punishable up to 5-99 years in prison and up to a $10,000 fine. 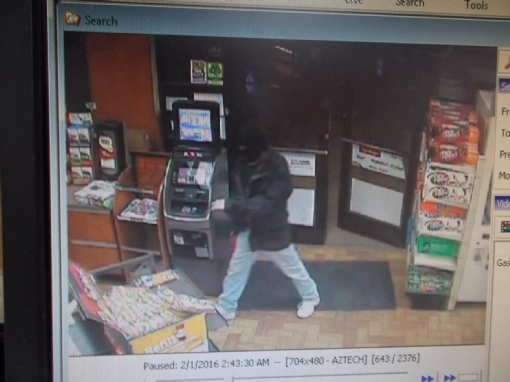 We have attached photos of the robbery suspect to this press release. On Friday, 01-08-2016, at 7:27A.M., Officers from the Weatherford Police Department were dispatched to a disturbance at a trailer park, located in the 1400 block of Fort Worth Hwy. Upon arriving in the area, officers contacted a Hispanic female exiting her residence with blood on her face and head. Lifecare was summoned to the scene to assist the injured woman. The injured female (victim in the case) told Officers that she lives with her two brothers at the residence where the officers encountered her. She advised while asleep, she heard a noise that sounded like footsteps outside of her bedroom. Her bedroom was located in the far back corner of the trailer. The victim said she got out of bed and walked down the hallway toward the main part of the house to investigate the noise. She advised that as she passed one of the other bedrooms she observed a white heavy set female inside the room. She noted the female had something white over her head that covered most of her head and face. At the same time, she observed a skinny white male walking toward the living room area. The victim said the female suspect was holding a black flashlight and came at her, striking her multiple times in the head. The victim then ran back toward her bedroom, locked the door and called 911. Officers arrived on scene a short time later but were unable to locate the suspects. Due to the incident transpiring so quickly for the victim, she was unable to provide detailed descriptions of the suspects. The victim's brothers had already left for work that morning and were not at the residence at the time of the incident. One of the brothers told officers that they did not lock the front door when they left early that morning. Officers noted there did not appear to be any forced entry to the home, so it was likely the suspects entered through the unlocked front door. The male suspect was described as white, approximately 6ft., skinny and probably in his 20s. The male suspect had on a utility type belt with no tools in it. The male was believed to be wearing tan/beige colored pants and button up shirt. The female suspect was described as white, approximately 5'6'', heavy set, probably in her 30's, with a white long sleeved shirt or jacket on. The victim did not see the suspects leave, so it is unknown at this time whether the suspects were on foot or left in a vehicle. Later that the morning, the victim was taken to the hospital where she received medical treatment for a laceration to her head. Items taken during Robbery/Burglary were (1) metal flashlight and (8) Hurley brand hats. Weatherford Detectives have few leads at this time and needs the public's assistance to help identify the suspects. Parker County Crime Stoppers has designated this Robbery/Burglary as the Crime of the Week. Crime Stoppers is offering up to a $1,000 reward for any information that leads to the arrest or indictment of the individuals that perpetrated this crime. On 12-21-2015 at approximately 4:31A.M., Officers were dispatched an alarm with glass breakage at Belk's Department Store, located at 205 Adams Drive. Officers arrived on scene three minutes later and observed some of the front glass doors shattered. Officers made entry into the store and were unable to locate anyone still inside. Once inside, officers found a broken glass display case in the fine jewelry area. A store employee noted that the broken case contained both men and women's Michael Kors watches. It is unknown at this time as to how many watches were stolen. It is also unknown if anything else in the fine jewelry area was taken as well. Belk officials are currently working on developing an inventory of missing items for investigators. The suspect's identity is unknown. The suspect appears to be a male, but specific characteristics are unknown due to the suspect wearing clothing items to conceal their identity. The suspect was dressed in dark clothing (shirt and pants) with what appeared to be a red toboggan style hat and a white cloth covering his face. Investigators are trying to determine if the suspect in this case could be possibly linked to other Belk's burglaries in the North Texas area. The Weatherford Police Department has very few leads at this time and needs YOUR help to solve this case. Parker County Crime Stoppers has designated this vehicle burglary as the Crime of the Week. Crime Stoppers is offering up to a $1,000 reward for any information that leads to the arrest or indictment of the individual(s) that perpetrated this crime. If you any information regarding the Belk's Department Store Burglary, please contact Parker County Crime Stoppers at 817-599-5555 or 1-800-942-STOP, or visit the Parker County Crime Stoppers website at www.parkercountycrimestoppers.com to learn more ways to submit a tip. Your information and identity will remain anonymous. Make the call today to help us solve this case so we can help you cash in your reward!!! On 12-10-15 around 1030am, the Weatherford Police Department responded to a residential theft call in the 3500 blk. of Lakeway Drive. The general contractor reported that he is a home builder and is in the process of building a new house. He stated that on 12-9-2015 his crew noticed one of the electrical lines messed up inside the home. Upon further investigation, he learned that approximately 320 feet of 62 gage wire was missing. The cost of replacing the wire is estimated at $600. The contractor noted that the electrical work had been completed days prior to the theft and had already passed inspection. "These type of thefts not only delay normal construction schedules, they generally cost the builder a significant amount of money to replace the stolen materials and the labor costs to repeat work that was already completed" said Sgt. Jason Hayes. The Weatherford Police Department has no leads at this time and needs YOUR help to solve this case. Parker County Crime Stoppers has designated this vehicle burglary as the Crime of the Week. Crime Stoppers is offering up to a $1,000 reward for any information that leads to the arrest or indictment of the individual(s) that perpetrated this crime. If you any information or believe you have seen this truck recently, please contact Parker County Crime Stoppers at 817-599-5555 or 1-800-942-STOP, or visit the Parker County Crime Stoppers website at www.parkercountycrimestoppers.com to learn more ways to submit a tip. Your information and identity will remain anonymous. Make the call today to help us solve this case so we can help you cash in your reward!!! On December 1, 2015, shortly after 7am, Officers were dispatched to the hotel district in the 2500 block of S. Main in reference to a burglary of a vehicle. The victim stated that he stayed at the hotel the previous evening, and parked his work truck and trailer outside in the normal hotel parking lot. The victim stated that his truck was fine at 6pm. The Weatherford Police Department needs YOUR help to solve this case. Parker County Crime Stoppers has designated this vehicle burglary as the Crime of the Week. Crime Stoppers is offering up to a $1,000 reward for any information that leads to the arrest or indictment of the individual(s) that perpetrated this crime. On 11-8-15 the Weatherford Police Department received a report from a victim whose white 2002 Dodge 1500 single cab pickup had been stolen. The victim stated his pickup was stolen from the 100 block of S. Main, between the hours of 12:30pm and 1:30pm. The truck was taken by unknown suspect(s), and as of this date has yet to be located. The victim stated the truck has a damaged rear end from a wreck and a black heart sticker on the tailgate. Attached to this media release are photos of the victim's truck. The Weatherford Police Department needs YOUR help to solve this case. Parker County Crime Stoppers has designated this theft as the Crime of the Week. Crime Stoppers is offering up to a $1,000 reward for any information that leads to the arrest or indictment of the individual(s) that perpetrated this crime. 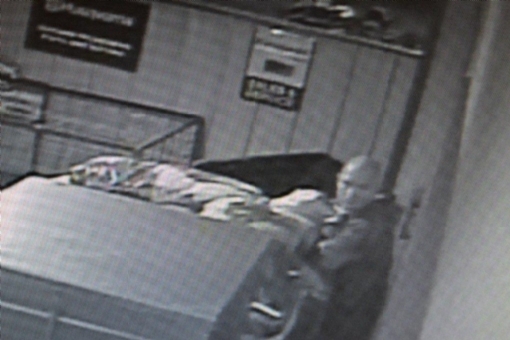 On 10-31-2015, at approximately 0724 hours, Officers were dispatched to the 800 block of East Interstate 20 (Hotel District) in reference to a burglary. The complainant in the case advised that sometime between 2130 hours on Friday, 10-30-2015 and 0715 hours on Saturday, 10-31-2015 unknown persons burglarized his black 2014 Ford pick-up. The victims truck was parked on the East side of the hotel and both the driver's and passenger side windows were broken out. It appeared that the suspect(s) used the complainants own sledgehammer that was laying in the bed of the truck to break the windows. Once inside, the suspect(s) removed a myriad of property from inside, that included a firearm. Stainless steel Ruger SR 1911 .45 caliber handgun with black grips, Apple I-Pad in a green/blue otterbox case, Apple I-Pod in black rubber cover, Red Duffel Bag containing a Samsung Galaxy tablet (in a black otterbox case), clothing and hygiene items, Black Duffel Bag containing 2 electric razors, black and red Husky bag containing very large (60mm) wrenches, gray Passport radar detector, black power inverter, black Duffel bag, 2 electronic cigarettes (1-yellow and black, 1-gray). If you have any information, please contact Parker County Crime Stoppers at 817-599-5555 or 1-800-942-STOP, or visit the Parker County Crime Stoppers website at www.parkercountycrimestoppers.com to learn more ways to submit a tip. Your information and identity will remain anonymous. Make the call today to help us solve this case so we can help you cash in your reward!!! The Weatherford Police Department needs YOUR help to solve this case. Parker County Crime Stoppers has designated this home burglary as the Crime of the Week. Crime Stoppers is offering up to a $1,000 reward for any information that leads to the arrest or indictment of the individual(s) that perpetrated this crime. On October 11, 2015, at approximately 7:45p.m., Officers from the Weatherford Police Department were dispatched to an aggravated robbery at a convenience store, located in the 1100 block of Palo Pinto St. Officers were told by the employee that a W/M subject jumped the front counter with a knife and demanded money. The clerk opened the cash register and the suspect allegedly reached in and removed an undetermined amount of $20 dollar bills from the register. 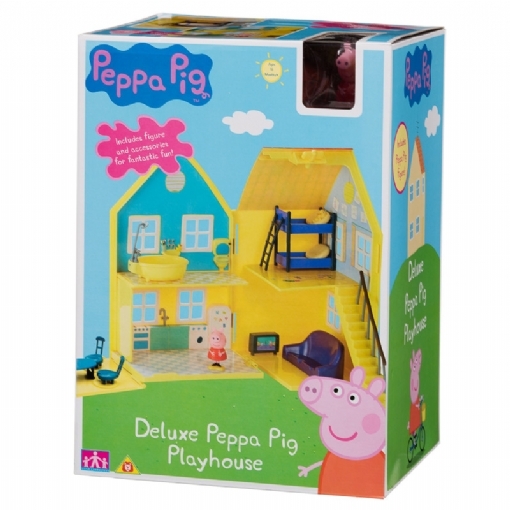 After stealing the money, the suspect jumped back over the counter and quickly walked out the front door. T-shirt wrapped around his head. The Weatherford Police Department needs YOUR help to solve this case. Parker County Crime Stoppers has designated this incident as the Crime of the Week. Crime Stoppers is offering up to a $1,000 reward for any information that leads to the arrest or indictment of the individual(s) that perpetrated this crime. Redmax backpack blower (model # EBZ7500RH) with a replacement cost of $408.00. The total replacement cost for all of the stolen tools is approximately: $2,610.44. Video footage from inside and around the store revealed there appeared to be two male suspects involved, (one white male and one black male). After breaking and entering through the glass door, the suspects carried in what appeared to be a bed sheet or large blanket. The suspects immediately ran in the direction of the chainsaw display. In less than one minute, the suspects gathered an assortment of chainsaws and a blower, placed them inside the blanket/sheet and carried the items out of the store. We have attached numerous photos of the suspects inside and around the store, taken from surveillance footage of the business. The Weatherford Police Department needs YOUR help in identifying the suspects and recovering the property. Parker County Crime Stoppers has designated this incident as the Crime of the Week. Crime Stoppers is offering up to a $1,000 reward for any information that leads to the arrest or indictment of the individuals that perpetrated these crimes. The Weatherford Police Department and Parker County Crime Stopper's are asking for your help in solving multiple offenses that appear to be related. 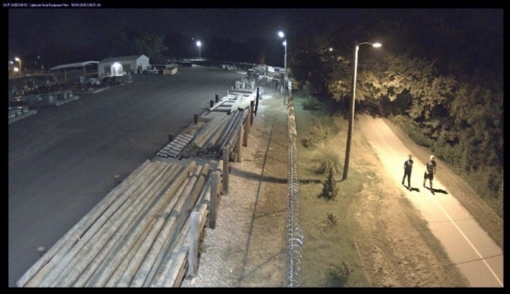 On September 3, 2015 between the hours of midnight and 6:a.m., an unknown person(s) committed nine (9) burglaries of vehicles in the NE portion of Weatherford (Liberty, Soward, E. First and Duke Street to be precise). Officers with the Weatherford Police Department have located several pieces of the stolen property in the area of the burglaries, but as of today’s date, there are no leads or suspect(s) identified. In addition to the nine burglaries, there were three vehicles reported stolen. All three stolen vehicles have since been recovered. The Weatherford Police Department is asking for everyone to be pro-active by increasing your crime prevention tactics. Please lock your car doors and do not conceal car keys or garage door openers in your car door or compartments inside the vehicle. Most car burglaries (approximately 70%) can be prevented by victims locking their car doors. Parker County Crime Stopper's has designated these incidents as the Crime of the Week. Crime Stopper's is offering up to a $1,000 reward for any information that leads to the arrest or indictment of the individual(s) that perpetrated these crimes. If you have any information, please contact Parker County Crime Stopper's at 817-599-5555 or 1-800-942-STOP. Your information and identity will remain anonymous. Make the call today to help us solve this case so we can help you cash in your reward!!! The Weatherford Police Department and Parker County Crime Stopper's are asking for your help in solving two offenses that appear to be related. On Wednesday, 8/5/2015, a male victim reported his black 1997 Ford F-150 Pickup Truck stolen from the street near his residence, in the 900 block of W. Ball St. The truck had numerous tools inside it, along with a 40 caliber Smith and Wesson pistol. Yesterday, on 8/10/15 a female victim came to the police department and reported her 2-door white 1997 Pontiac Grand Prix stolen. The Grand Prix was parked on the street outside her residence, in the 200 block of Rentz Place Circle. Today, on 8/11/15 the original victims black Ford Pickup was found and recovered on Rentz Place Circle, less than one block from the location where the white Pontiac Grand Prix was stolen yesterday. As of this time, Weatherford Police are still looking for the suspect(s) involved in these two cases. Investigators are not sure if the two incidents are related to the same suspect(s), however due to the circumstances, it is highly possible. While inventorying the contents of the original stolen truck, the owner was missing some of his tools along with the Smith and Wesson 40 caliber pistol. Weatherford Police needs the public's assistance in helping us find out who committed these two crimes. It is highly possible that the 2-door white Pontiac Grand Prix bearing Texas License Plate CCK7522 is still somewhere in Weatherford. Parker County Crime Stopper's has designated these two incidents as the Crime of the Week. Crime Stopper's is offering up to a $1,000 reward for any information that leads to the arrest or indictment of the individual(s) that perpetrated these crimes.